I have had a great night of comfort with a documentary on Countdown on the telly while I baked a batch of favourite chocolate tahini biscuits. For those who didn't grow up with Countdown, it was a legendary tv music show which was where the youth found out what was going on in music back in the 1970s and 1980s. Not to be confused with the Countdown game show in the UK. Countdown: Do yourself a favour is such a fun show that fills me with nostalgia. 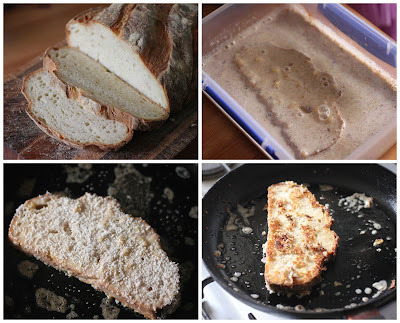 Yesterday morning we had another comfort - fried bread! French toast to be more specific. And if you want me to be really accurate, it was vegan French toast, which probably sounds less of a comfort to those who love their eggs. I don't love eggs and never ate French toast as a child but have had some good experiences with the vegan variety. I found it works quite well with homemade sourdough bread. While we often use up an old banana in pancakes in the morning, it sometimes seems wasteful to make pancakes while we have bread that I have baked. When Sylvia asked for French toast and we had a manky banana I decided I must be able to use up old banana and 2 day old bread. 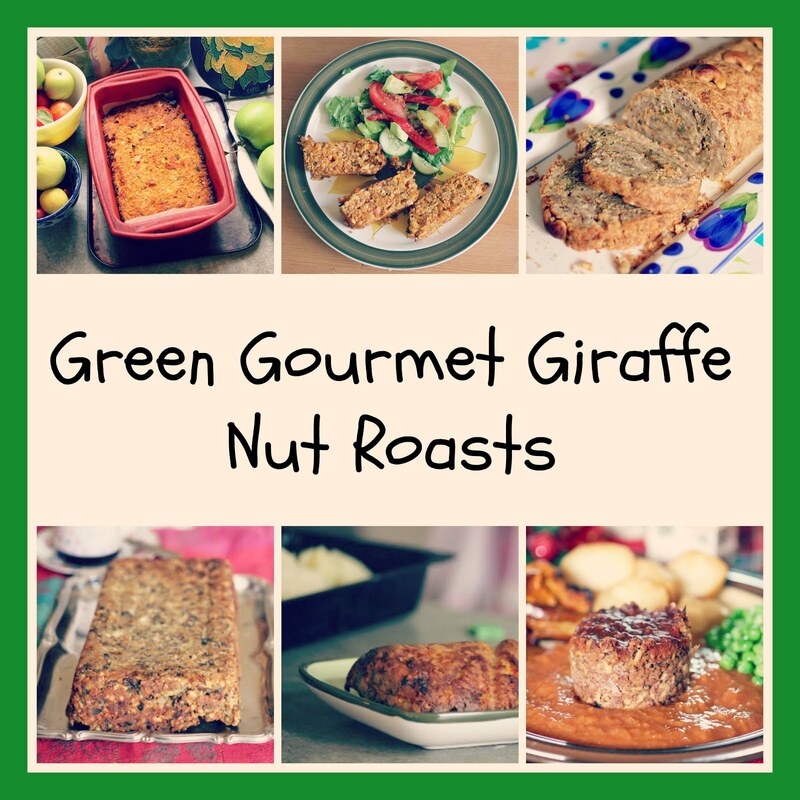 There are few recipe ideas that I can't find someone hasn't done before. And mostly I check out their recipe and then do my own thing. As I did yesterday. I had success with a vegan french toast last year which was coated in desiccated coconut. We had fresh pineapple and so I said to Sylvia that we should pair it with coconut. She must have remembered and decided we would dip the french bread in coconut before frying. Unfortunately she is not quite up to caramelising the pineapple in the frypan so the dish wasn't quite as I would have done in an ideal world. But we were hurrying and it was really nice with pineapple. At least they weren't doused in cinnamon. At one stage I gave Sylvia a half cup to measure some milk into. She was still focussed on needing more cinnamon and seemed to think I was directing her to add half a cup of cinnamon. Luckily I realised the communication breakdown before she added too much cinnamon into the measuring cup. Maybe a little maple syrup drizzled over the top would have been good. The French toast was not as sweet as I expected given there was a banana in the mixture. I did have a little of mine with some peanut butter on it which worked. Seems that we will now have French toast as an alternative for weekends when we have the manky banana in the fruit bowl. 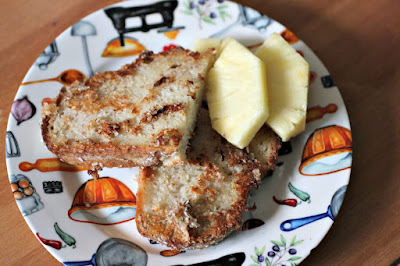 I am sending this vegan french toast to Elizabeth for her No Waste Food Challenge and to Healthy Vegan Fridays #62. Mix banana, milk, chia seeds, cinnamon and vanilla in a shallow dish. Dip bread into mixture and sprinkle with coconut on both side (if desired). Heat frypan over medium heat and melt about a tsp of margarine. Fry bread for 2 to 4 minutes or until golden brown on each side. Repeat until the mixture is finished. This carrot almond sauce started as bowl food and ended as dip. 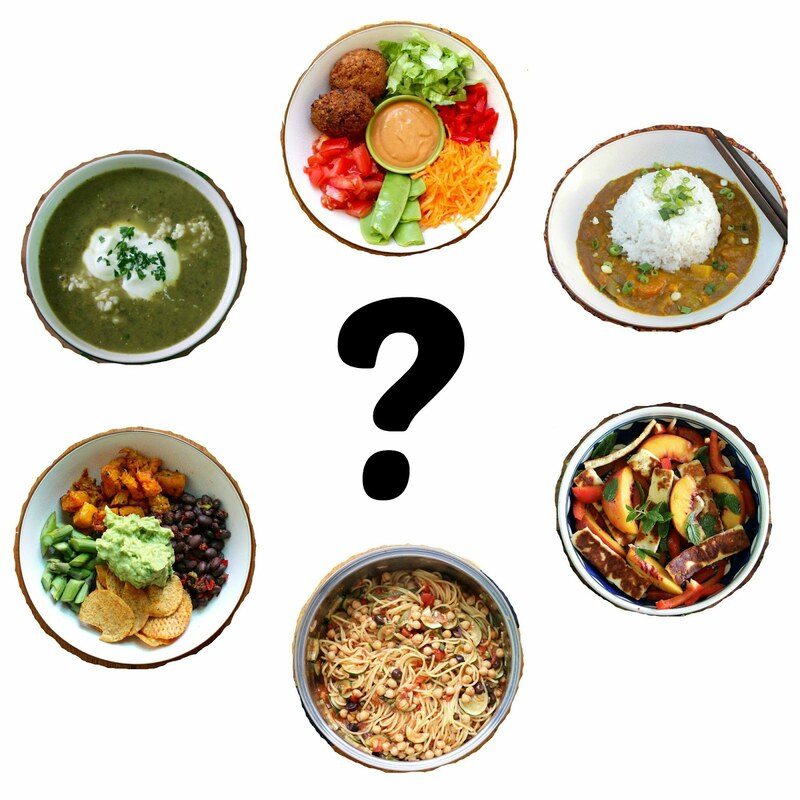 I really love bowl food that looks gorgeous and is full of healthy food. I used whatever I could find for this meal. Also important is that putting together the bowl was quick and easy. Strangely I am enjoying celery lately. Which is probably a result of buying bunches of celery that I must eat through one way or another. Fresh crisp celery is so refreshing. I made some changes to the carrot ginger almond sauce I found at Coconut and Berries. Emma used almond nut butter. I had no nut butter on hand so I used whole almonds which blended easily in my Froothie high powered blender. I also found it easy to use sriracha rather than fresh ginger. I forgot the turmeric but left it in the recipe as I will use it next time. And I added some milk to help it blend, which still resulted in quite a thick sauce. More dip than sauce actually. But what's in a name. It was light and really tasty - spicy, smoky, sweet - and lifted a bowl of grains, beans and vegies. Last week I rode past a nursing home and smelt that they were making a pea soup kind of lunch. It made me wonder about nursing homes for Sylvia's generation which had so many food allergies. Will they remember their food allergies in old age? 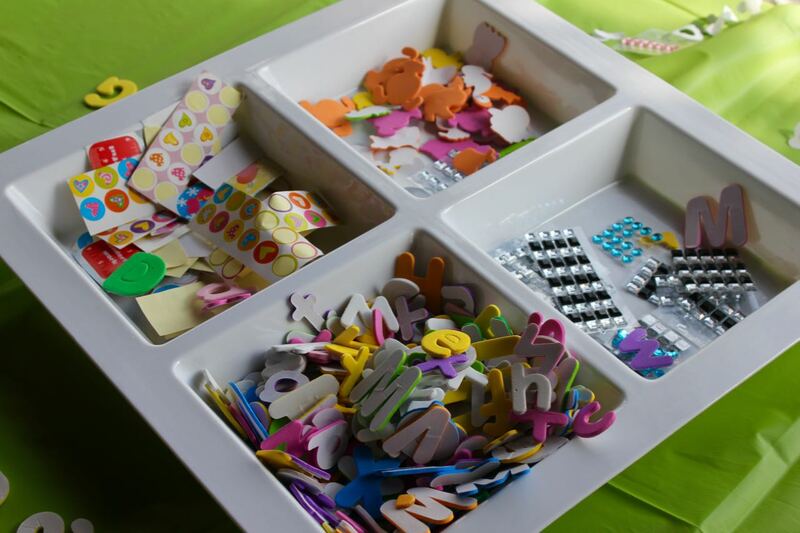 Will nursing home staff spend lots of time labelling and keeping food separate? Will there be a spate of food allergy related deaths in the eldery? Last night I made sweet potato and lentil soup for tea. I had told E that I was making it. Yet when he arrived home late and went to heat up his tea, he still looked under the tea towel into the rising bread dough rather than going to the saucepan on the stove! Curiosity? Confusion? Hope? Recently there was a story in the news about the Victorian Liberal Party's missing millions of dollars. What horrified me was the suggestion that if they had had that money in the election last year they might have had more chance in the marginal seats and of winning the election. I know our electoral system is not ideal. Yet I still feel despair at the suggestion that money can win elections. 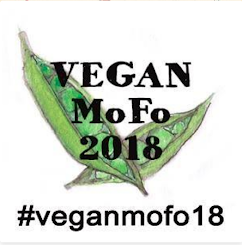 I am sending this to Meat Free Mondays and Healthy Vegan Fridays. 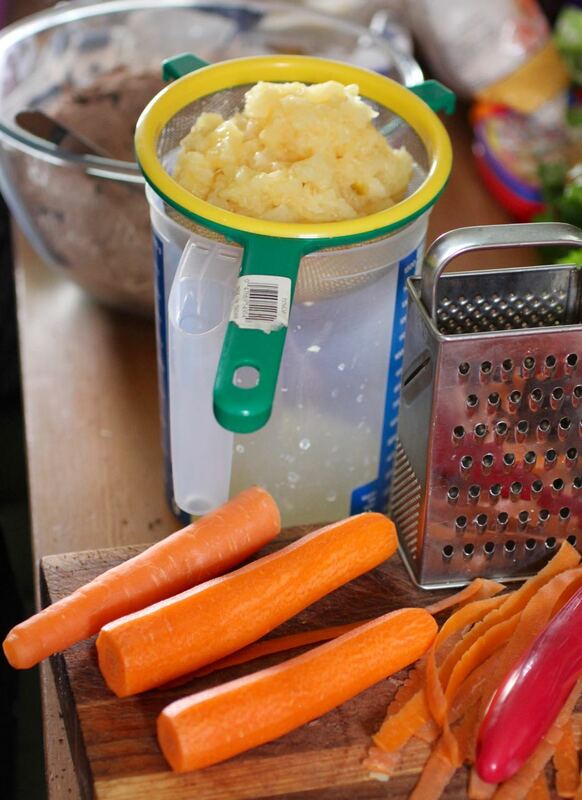 Cook carrots and blend with remaining ingredients. Heat some cooked black beans with tamari and old bay seasoning, add warm cooked brown rice, chopped celery, snow peas and spinach. Top with a generous spoonful or two of sauce. It also makes a great dip. On Saturday the sun shone kindly on our wintery world. Sylvia and I hopped on our bikes and rose along to the Urban Revival Market in the D Division Block of the former Pentridge Prison. This was an opportunity to see inside the old gaol and check out some artisan market stalls. Pentridge Prison (aka "Coburg College") was built in 1850 and officially closed in 1997. D Divison has been a female prison, the site of the last hanging in Australia and a remand prison. It now is available for weddings, kids parties and sleepovers. And hosts the occasional market like this Urban Revival one which was on the ground floor of three levels of cells. It was both unsettling and impressive when we turned the corner and saw the rows of cells before us. 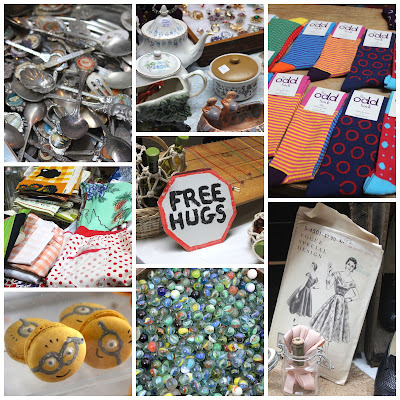 One of the first stalls we saw was the Luda Vintageware. They had old crockery, vintage fly spray cans and a pile of suitcase. I was most amused by an old bag of silverware that looked like exactly the sort of thing that might have helped criminals find their way in here when it was a functioning prison. I enjoyed looking at some of the old crockery and linen. Sylvia loved rifling through the marbles and sampling a Minions banana chocolate macaron from the friendly Colette at Chocolette Patisserie. As we walked along looking at the stalls, we also peeked in the old cells. Most were empty. A few were dumping grounds for odd stuff like what looked like a huge deflated blow up mattress. Some of the stall holder used them for storing goods. One stall holder even had their wares on display in a cell. The market didn't have much in the way of food. Macarons, a Silician stall and the Twisted Mac stall. We shared a plain macaroni cheese ($8) and it was so delicious. I was pleased to find something simple that Sylvia could eat. You could also buy macaroni cheese with fancy toppings. We ate in what I think was the old exercise yard, complete with a watch tower and barbed wire at the top of the walls. It was the least impressive part of the market because there weren't many stalls there and at one side was a heap of rubble. We arrived as a band was ending. It might have been a bit more lively if the music was still playing. As it was, we headed back inside to check out more old crockery, buttons and fun socks. E had been at a gig and was late to join us. He was pleased to see some crates of used vinyl LPs and found himself a Peter Paul and Mary record to purchase. This necklace was my favourite item on display. The swirls of green and purple in the glass were so gorgeous. I didn't buy it. I probably should have. I might not have worn it a lot but would love to see it catching the light in a window. It was great to get out on a sunny winter afternoon and interesting to see inside the old prison. It is very atmospheric. This Urban Revival Market was a one off. This is perhaps just as well. There have been a couple of attempts to hold regular markets here but neither have gained the traction they need. However as this area of Coburg continues to develop, perhaps the time will come when it is viable to have a regular Pentridge market. Meanwhile there are a couple of cafes in the old Pentridge complex: the Glass Den and the Boot Factory. I hope to visit and write about these some time. Today was a cake stall to raise funds for Sylvia's school. We brought home baking to add to all the leftovers in the freezer. Thank goodness Sylvia didn't bring a party bag of lollies home from the party at the zoo today. Because I also have some of this chocolate carrot cake left in the freezer. I had planned to make it for a special occasion but then I ended up making it when I could find time to make it. Well almost. 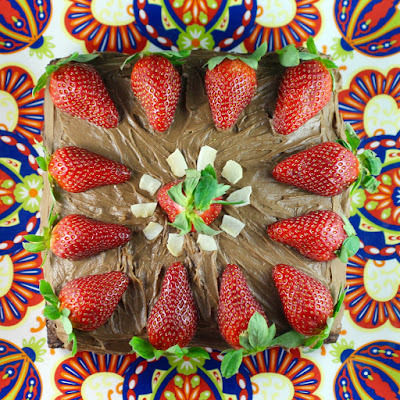 The recipe came from Lorraine at Not Quite Nigella who had made a magnificent two layer round cake frosted with nutella and cream cheese. 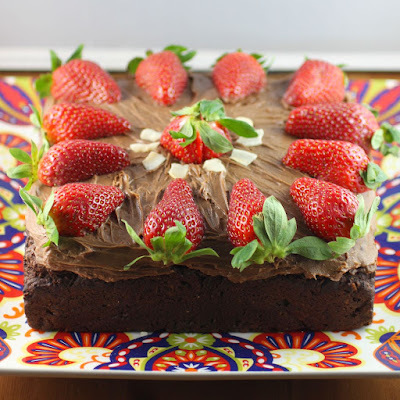 I wanted a simple one layer affair and when we have cakes at home, I find it easier to bake a square cake that can be cut into square chunks rather than wedges. And I wanted to justify the purchase of a new square cake plate. I convinced myself that if I baked it in a larger square tin, it would bake faster. I even increased the temperature from 160 to 180 C. However I had a tight deadline with needing to pick up Sylvia and her friend from netball. As it was, the cake was still uncooked in the middle when I needed to leave. I turned the oven down low and left. It was raining hard, Sylvia was playing under a bbq in the undercover area, and I got home to find that the oven had turned itself off. After 45 minutes at 180 C, an hour with the oven turned off and 40 minutes at 160, the cake was baked! After that I needed a piece of chocolate cake. I did have the patience to cool it, decorate it and photograph it (with the light box) before eating it. 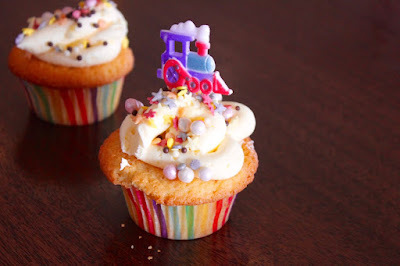 The cream cheese frosting I used was a simple one based on a frosting I had made many years ago. It is the sort you make when you want cream cheese frosting but nothing too decadent. I also added strawberries because I had just bought some. However I think it might have been more relevant to just sprinkle some chocolate flakes on it. I also made a chocolate macadamia butter (sort of like this) that would be a really nice rich ganache for a special occasion, so I have included it below. 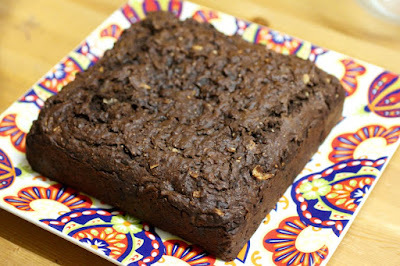 I used the coconut instead of nuts because Sylvia is not so keen on nuts in cakes. Thing is, I have now discovered that she is not so keen on toasted coconut in cakes either. E wasn't so keen either. He guessed that there were nuts in the cake. I really liked it. I thought I might have the pleasure of eating it all by myself. E managed to eat some but part of the cake has ended up in the freezer. 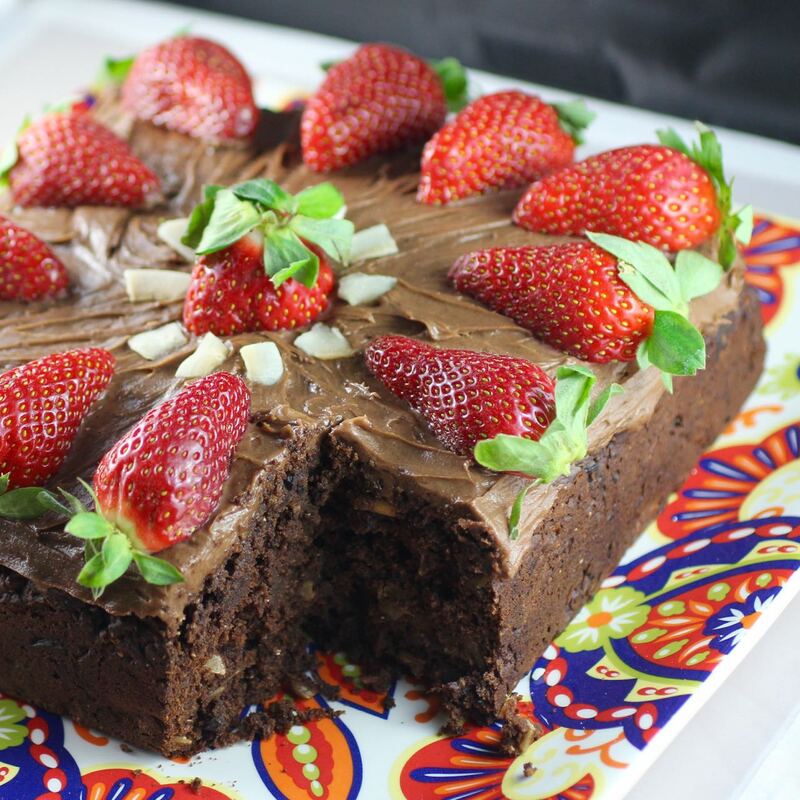 It is such a dense cake that a little goes a long way. I am slowly making my way through it but we have heaps of other leftovers to attend to right now. However it is lovely to have it in the freezer for those days when nothing but chocolate cake will do. 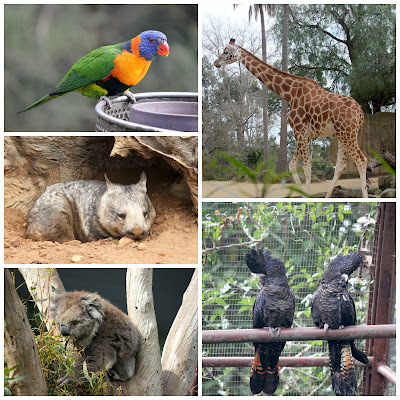 Meanwhile I leave you with some photos from our visit to the zoo today for Sylvia's friend's party. I am sending this cake to Choclette for We Should Cocoa. Mix dry ingredients in a large mixing bowl. Mix wet ingredients in a medium mixing bowl or a large jug. Pour the wet mixture into the dry ingredients and mix until well combined. Scrape into a greased and lined 20cm square cake tin (or a 20cm round cake tin). Bake at 160 C for 1 hour and 15 minutes or until a skewer inserted comes out clean. Cool on a wire rack. Frost either with the cream cheese frosting (hand mix ingredients in a bowl) or the ganache (blend in high speed blender until creamy) depending on if you want it to be light or decadent! 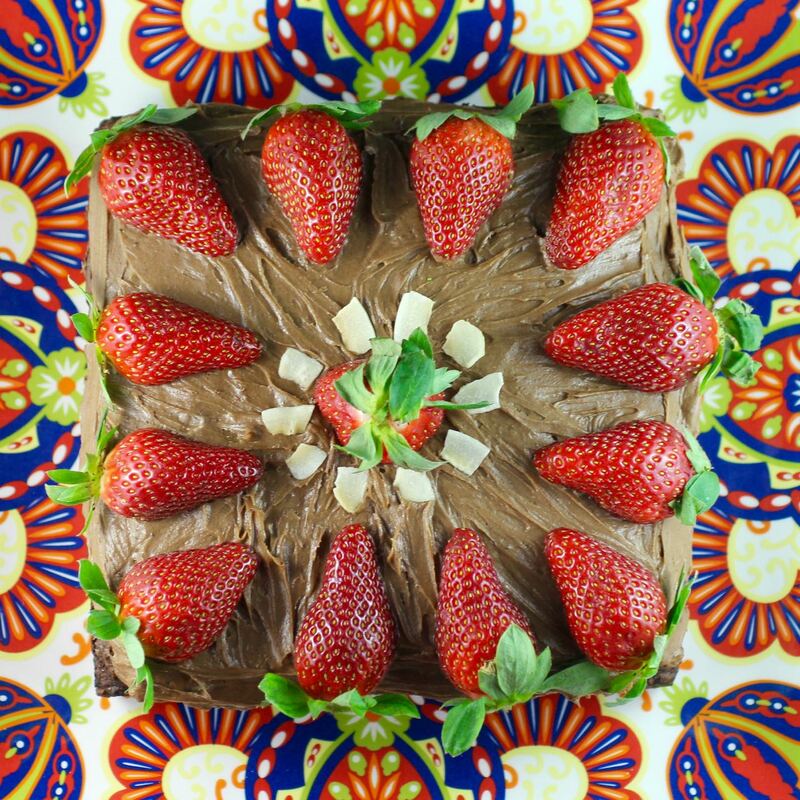 Decorate with strawberries and/or coconut flakes. 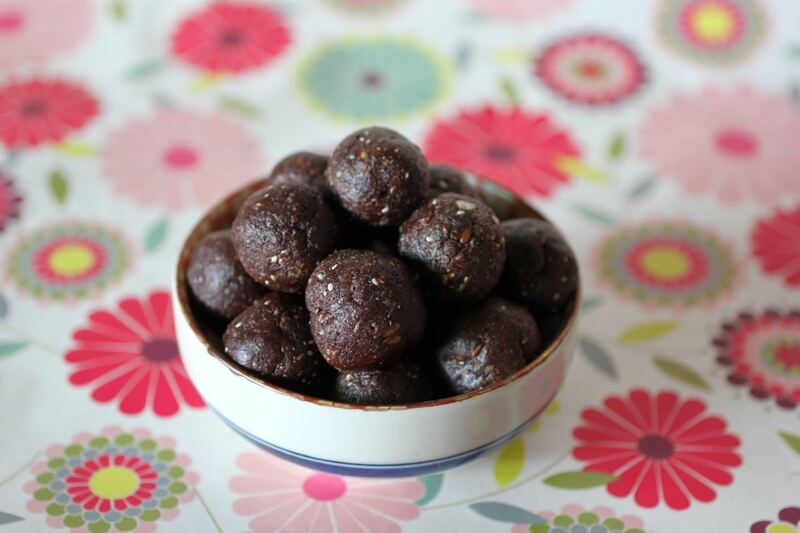 These cocoa bites were made on a day when I felt like baking but wanted quick results, I wanted chocolate but not too unhealthy, I wanted to snack but in a sensible way. 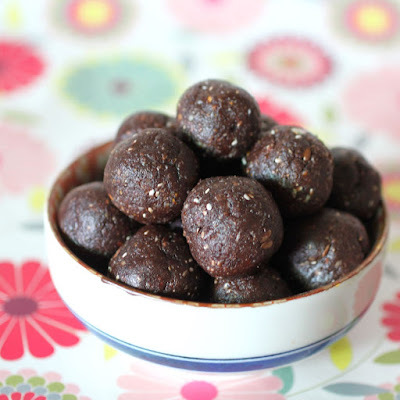 So I made these cocoa bites that are packed with good stuff. They are the sort of snack you feel ok feeding to little girls who have just been to netball practice or having before doing a body balance class at the gym. 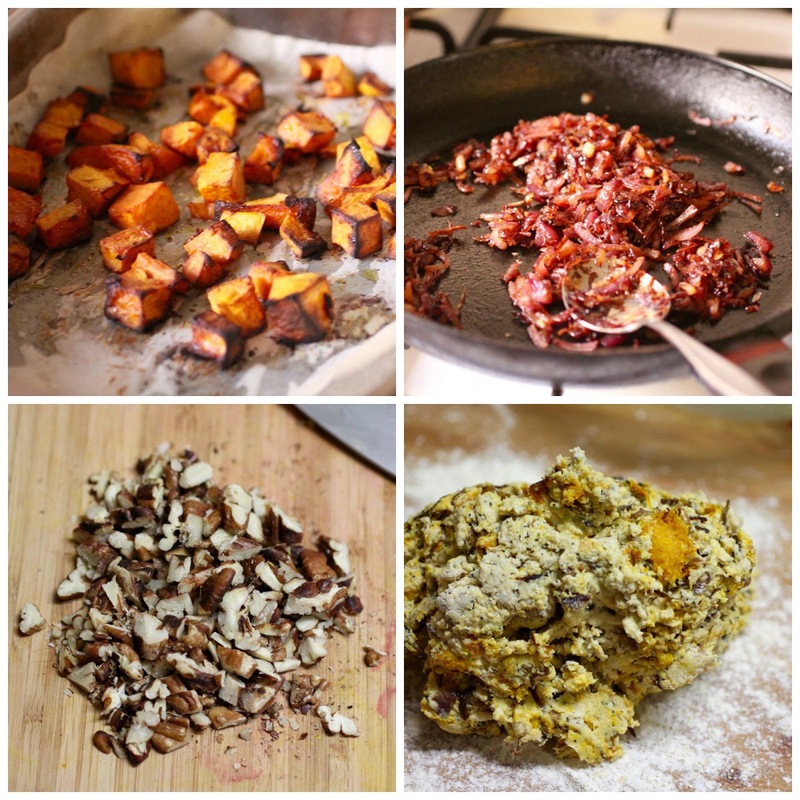 I made these in my high powered blender rather than a food processor. They were really good but in a nut butter sort of way rather than finely chopped nuts because I think I got a little enthusiastic with the blender. So they were soft and fudgy, sweet but not overly so, and easy to take about with me. Maybe not too different from a whole lot of energy balls I have blogged here but I think they were exactly what I needed. I am sending these cocoa bites to Healthy Vegan Fridays #61 and Gluten Free Fridays #156. Soak dates in hot water for 10 minutes. In a high speed blender (or your food processor), blend nuts until ground. Add coconut, cocoa, seeds, agave and vanilla and continue to blend. Add drained dates. Roll mixture into balls. 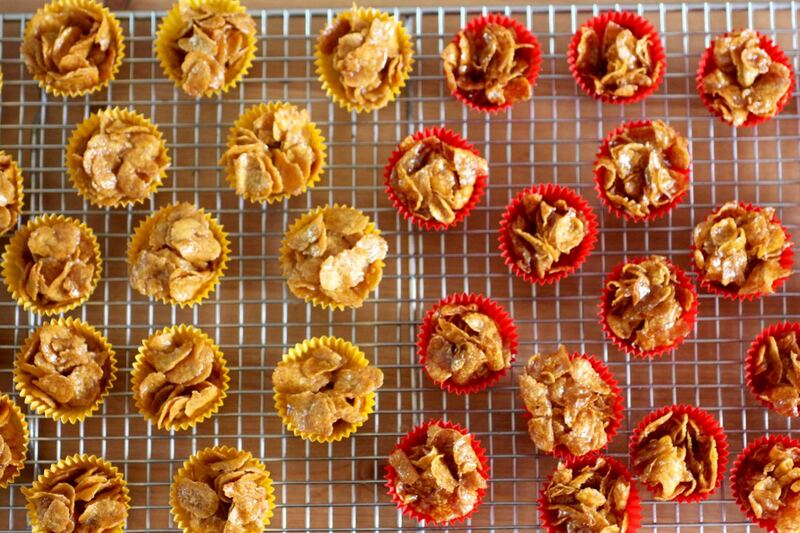 When there is cornflakes in the pantry, a birthday on the weekend and not much time for baking, honey joys seems just the thing! As a child I often encountered them at parties and cake stalls. They were always popular. 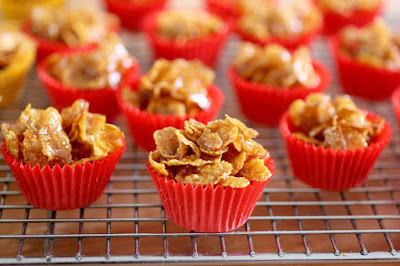 As an adult I have discovered that they are cornflakes covered in a light toffee sauce. No wonder they are still loved by kids. 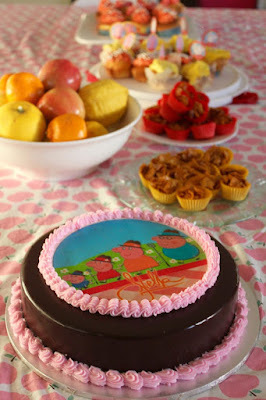 The event as my niece, Stella's third birthday. I had said I would bring sausage rolls. 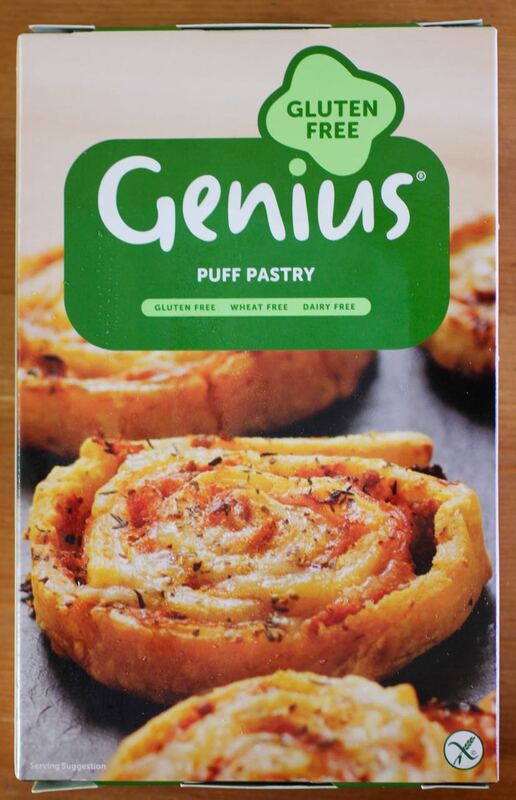 Serendipitously while checking out the new Coles at Coburg North I found this Genius gluten free puff pastry. 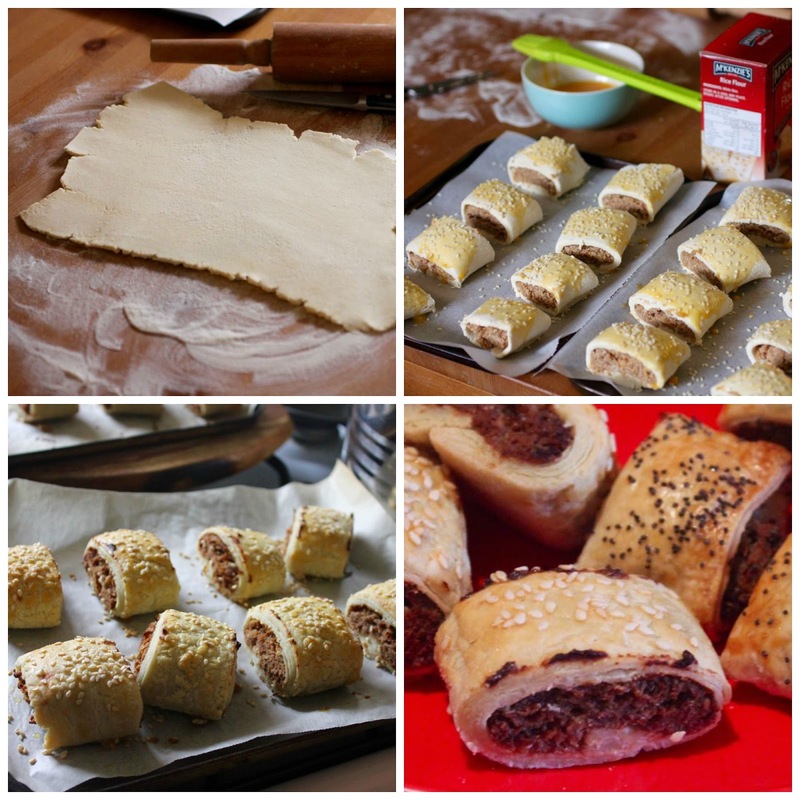 I decided to make half gluten free sausage rolls (with sesame seeds) and half regular (with poppy seeds). 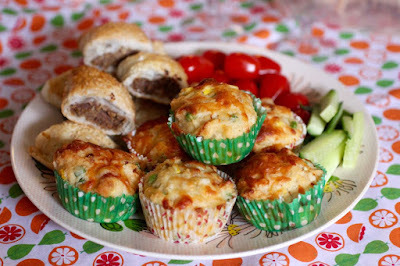 Which was just as well, given that the packet of pastry was only enough for half the batch of sausage roll filling. I probably could have rolled it out a bit thinner but not too much more. 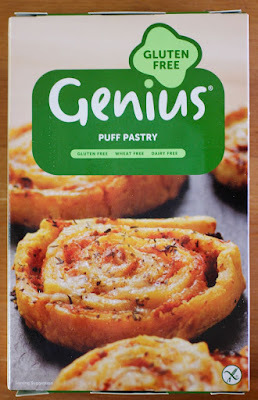 I have tried a few gluten free pastry recipes in the past and found them hard to work with. This pastry was really good. It was dairy free but had egg in it. I amended my usual vegetarian sausage roll recipe to be dairy free and gluten free by substituting 1 cup of silken tofu for the cottage cheese and gf breadcrumbs and quinoa flakes instead of wheaten breadcrumbs and oats. 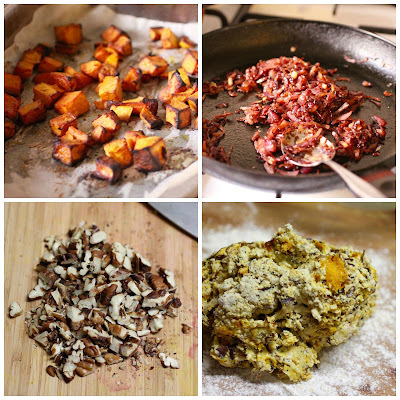 I had to add a bit more breadcrumbs and quinoa flakes than when I make my regular recipe. The honey joys were far more straight forward to make gluten free, even given that I made two batches. 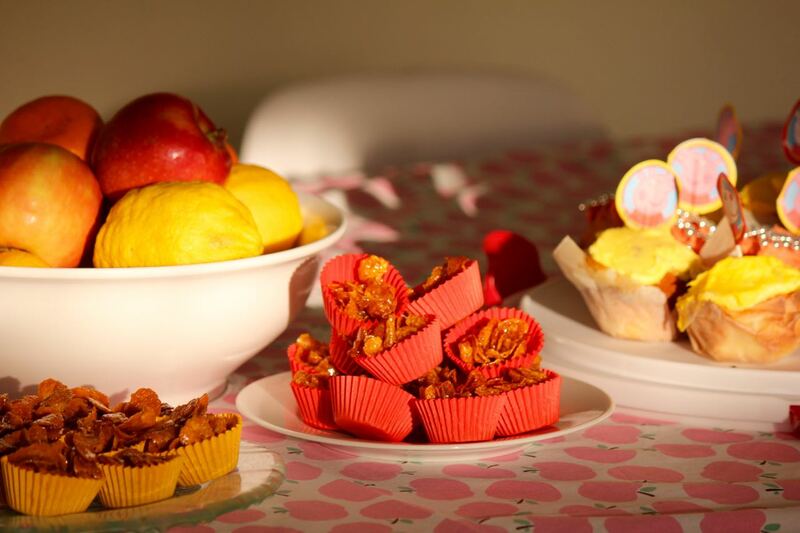 It was a matter of boiling up butter, sugar and honey and then stirring in cornflakes and baking. I always find honey joys great when I start eating them and then halfway through they are too much. I am obviously not the only one if the amount of half eaten honey joys left about at parties is any guide. So I made them with mini muffin cases. They were the perfect size. I used different coloured mini muffin papers to make it easy to tell the two batches apart. There wasn't much difference between the traditional and gluten free honey joys. The gluten free cornflakes were more sturdy and didn't rustle as much as the traditional ones. Yet everyone seemed happy to eat either (other than the celiacs). I also added coconut sugar to keep down the refined sugar. This worked really well and probably added to the toffee flavour. We rushed down to Stella's baking party (run by Little Wren Cookery School). Her little friends and cousins decorated chef's hats, donned striped aprons and got to work baking while the parents went down the road for a coffee. When we came back at the end they had made pizza, decorated cupcakes and made freckles on sticks. We then returned to Stella's place where my sister Fran had a birthday cake for Stella with more of her cousins. 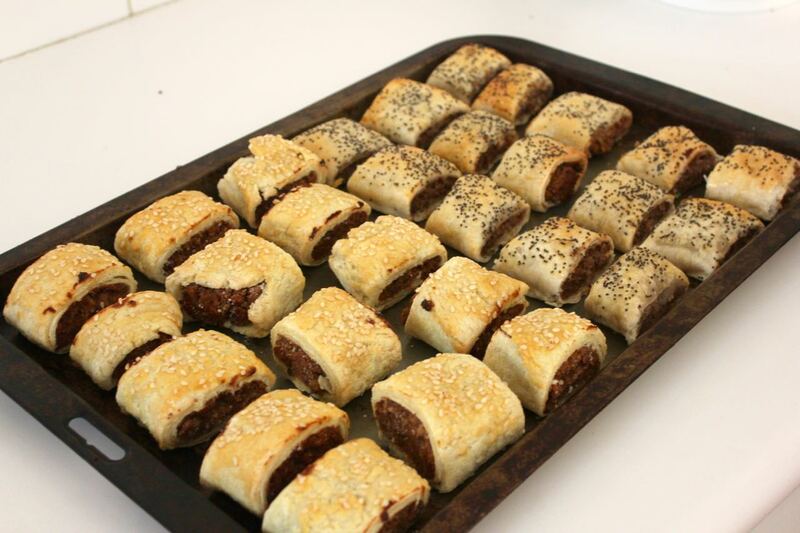 I heated up the sausage rolls. They went down very well. Fran is a big fan of them and the coeliacs in the family were impressed by the gluten free pastry. The honey joys also went down well. I knew Sylvia would love them because I had had to keep her away from them the night before when I had baked them in advance. I was surprised to find that my niece Maddy was very fond of them. My parents could not be there but I am sure my mum would have appreciated us having honey joys which is the sort of thing she might make. Fran had also made cupcakes with Peppa Pig toppers and had ordered a gorgeous gluten free chocolate cake with a Peppa Pig scene on it. Stella was delighted and had fun blowing out the candles. I think this is the age when kids start to really notice parties. Stella was so delightful to watch with her sense of wonder and excitement at all the food and presents and company. She checked over a toy cow with her new doctor's kit and danced to a card that sang happy birthday. Sylvia and I stayed the night at Fran's. 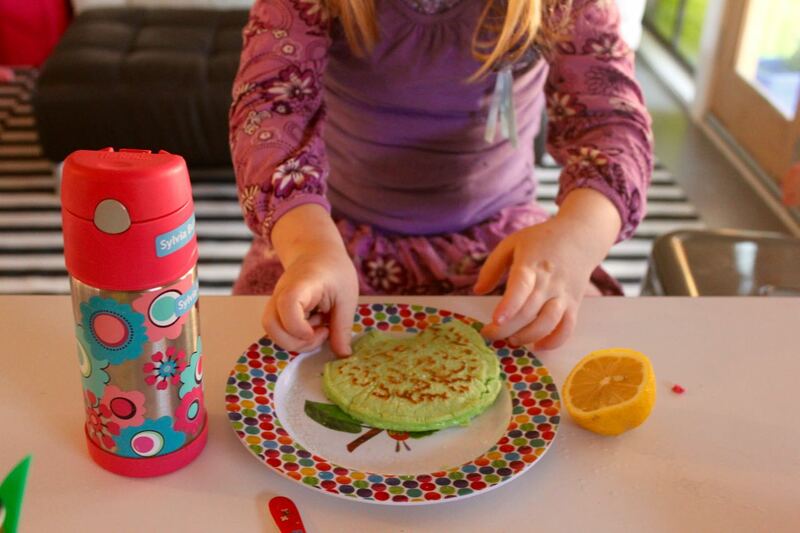 The next morning Fran had guests for more birthday celebrations but we just stayed for green and pink pancakes for breakfast, a game of hide and seek and some fun on the kiddie keyboard. Then we headed home, well rested and with not a leftover in sight! 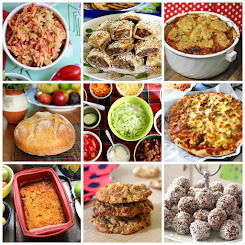 I am sending this post to Gluten Free Fridays, Free From Fridays, Inheritance Recipes and Recipe of the Week. Melt butter, sugar and honey and gently bring to boil so that mixture is bubbly. Remove from heat and mix in corn flakes. 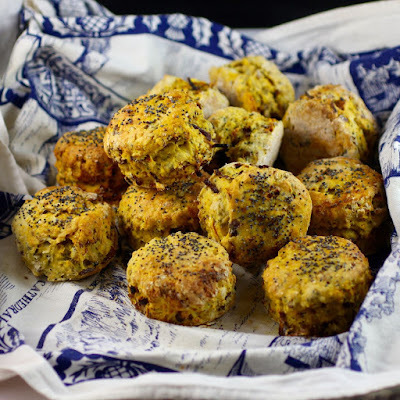 Spoon into mini muffin (or patty pan) tins that are lined with papers. Bake at 150 C for 10 minutes and cool on a wire rack. 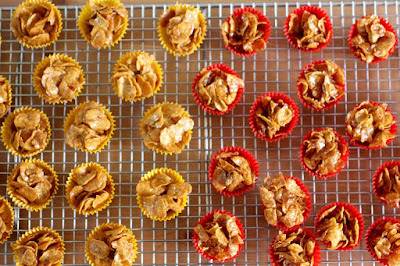 *NOTES: traditionally honey joys are made with butter, castor sugar and Kelloggs cornflakes. 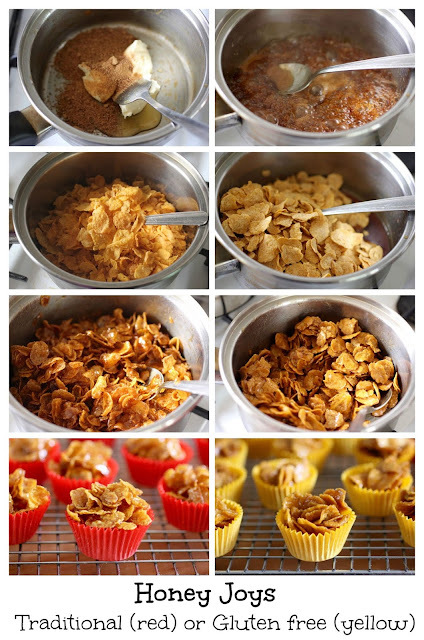 I used margarine to keep it dairy free, coconut sugar because I could and I made one batch each with Kelloggs cornflakes and gluten free corn flakes. But let me ramble for a moment. 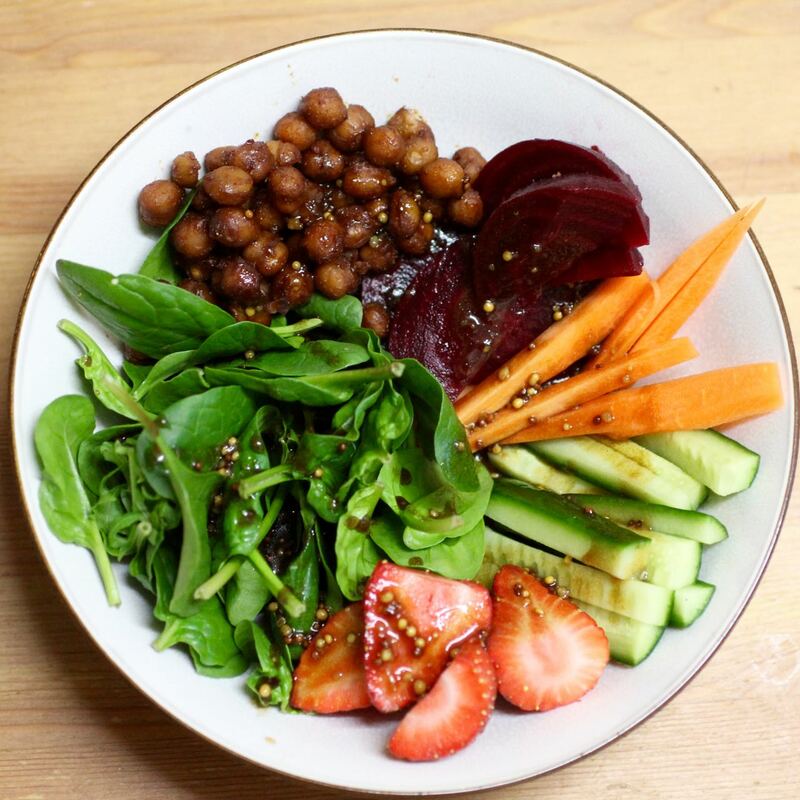 I have recently started a Healthy Bowls Pinterest board. All these bowls of beautiful vegies have given me Pinterest envy. I want my dinner to look this beautiful. Perhaps wee Sylvia is onto something when she asks for her vegies to be separate on her plate. It could even be that I disliked lots of vegies as a child that I could only learn to love them when mixed up and now I am finally beginning to just enjoy them, albeit with a salad dressing so good that Sylvia was happy to eat her vegies with it. I thought the vinaigrette was helping her to enjoy eating spinach. Then a few nights later I serve her baby spinach with no dressing expecting her to leave it. Instead she picks up a great big pile and takes a big mouthful. The child in me is still amazed at her love of vegies. Fortunately the adult in me was ready for some healthy vegies after a carbs and chocolate trivia night. The salad was just what I needed. It started with cheap strawberries. 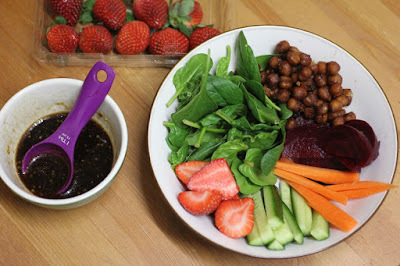 I fossicked around in the fridge, made a lovely vinaigrette from an Eats Well With Others roasted berry salad and made smoky chickpeas using my tofu bacon marinade. The chickpeas were a bit salty so I think I would reduce the tamari next time. Otherwise I was smitten. 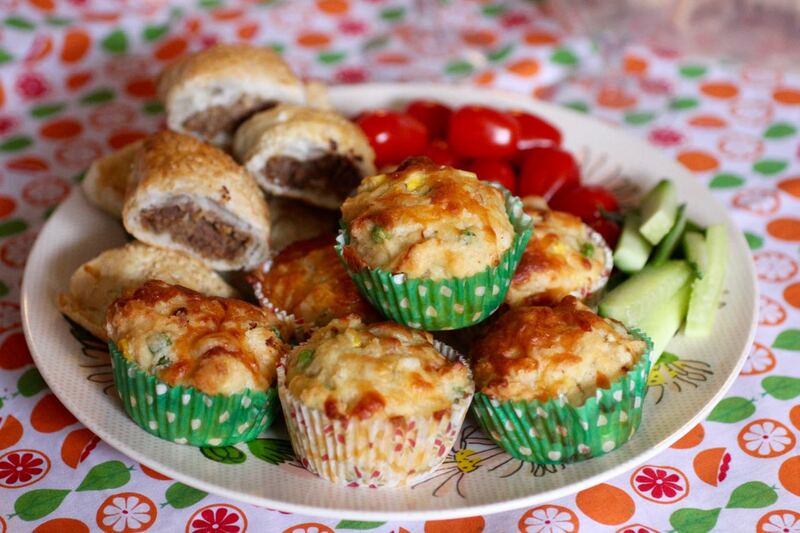 With a savoury muffin on the side, dinner was ready. I am sending the salad to Healthy Vegan Fridays #58, No Croutons Required, Eat Your Greens, Gluten Free Fridays #155 and Meatless Mondays. To make smoky chickpeas, mix all ingredients except chickpeas to make marinade. Fry chickpeas in marinade over medium high until marinade is absorbed and chickpeas are slightly sticky. Set aside to cool. Whisk all the balsamic vinaigrette ingredients together. Arrange chickpeas and other ingredients in individual bowls and drizzle with vinaigrette. It is International Scone Week so I obliged the scone gods and got out my thinking cap. I really wanted to make scones a bit like Karen's pumpkin, walnut, poppyseed and cheddar muffins but I wanted them vegan so I checked on my kale scones for ideas. These are not at all traditional scones. They are filled with so many bits that they like a meal in a scone. In fact one of the things I love about scones is how easy they are to whip up. 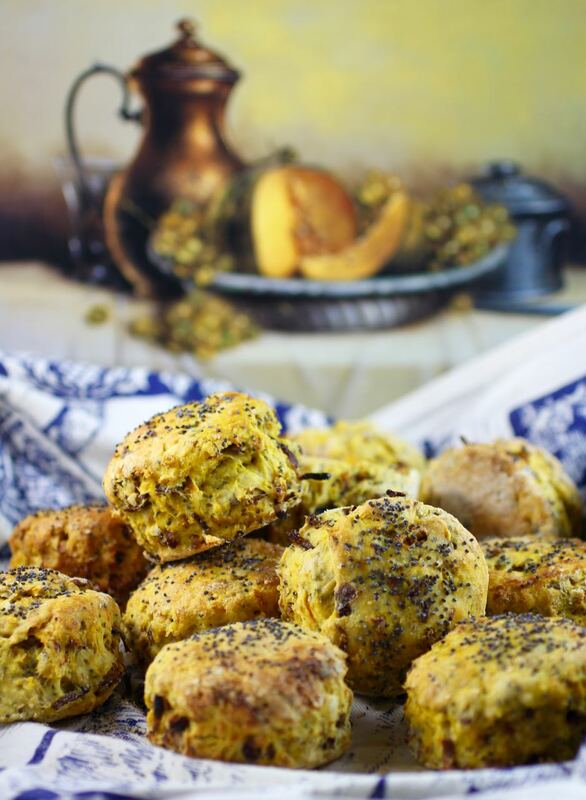 Unless you go all fancy like these scones and spend ages roasting pumpkin, frying caramelised onion, toasted pecans and then dealing with the awkwardness of kneading dough full of bits. It was worth it! I like to spend my energy on one component of the meal and go easy on the rest of it. So I served these scones with some salad that was helped along with some leftover salad dressing. 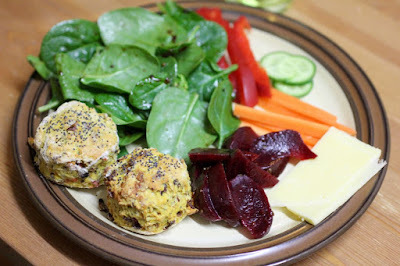 It was a fantastic meal as I am in need of lots of vegies after all my baking over the weekend. In fact I loved these scones so much that it inspired me to finally drag the fold up light box that has been in the car for a week or two after my brother loaned it to me. Considering I had only been shown it once, it was pretty easy to set up. My main problem is finding space to set it up and plug in two power cords. The other problem with a light box is that it is all very well to think that I might spend some time photographing dinner but a lot of the meals I post are my dinner. Though I might stop to snap a few photos before we eat, it is more important to sit and eat with the family than to spend ages setting up a pretty photo. Sometimes I manage to photograph leftovers the next day if there is food leftover and it is in good shape. But this is not always practical. However for nights when I can photograph some food later in the evening a light box would be great. 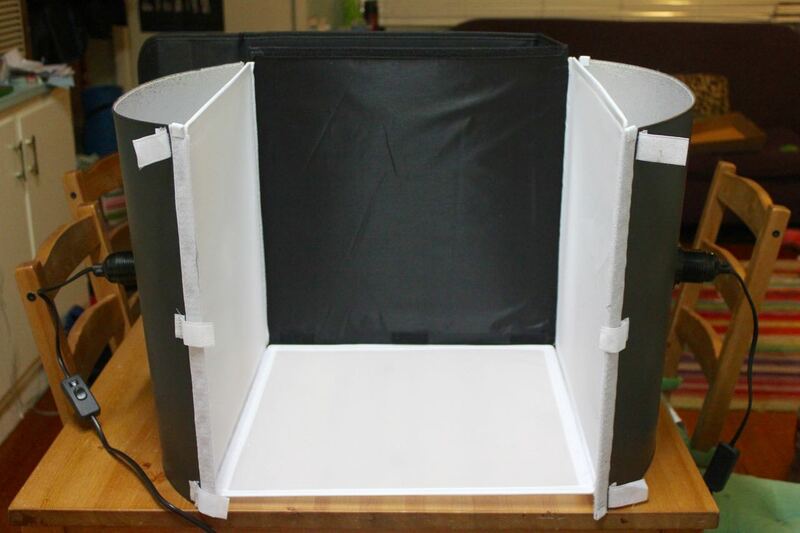 I would recommend this Optex Portable Photo Studio and Lighting Kit because it did improve my evening photography. Though my brother cautioned that it needs a macro lens (which I own). I just wish I had a space where I could set it up permanently. (Alternatively you could try making a homemade lightbox.) Then I would probably need a tripod camera set up. Sigh! There is always something else. 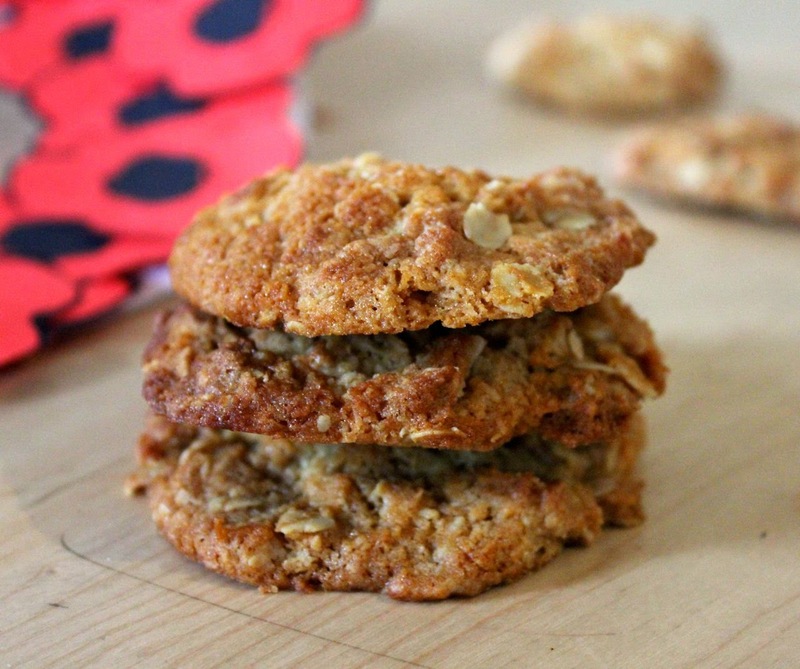 I am a huge fan of the classic Aussie pumpkin scones. Sadly Sylvia does not like pumpkin so I don't make them so often. However I live in hope that she will come round as her young tastebuds mature and remember how much she loved pumpkin as a baby. Not yet. She wouldn't eat these scones. I cut back on seasoning because the recent kale scones were too intense. I thought it was a mistake when these pumpkin scones were warm but once cooled I was pleased that I hadn't overwhelmed the sweet pumpkin flavour. With the onion, these are definitely savoury but you could easily omit the onion, add a little sweetener and make these an interesting vehicle for jam and cream. Either way I can highly recommend having a batch of these warm out of the oven wrapped in a tea towel to make your kitchen feel homely. I am sending theses to Tandy at Lavender and Limes who has stood in for Celia as host of International Scone Week. I am also sending them to Tea Time Treats, Extra Veg Challenge and Healthy Vegan Fridays #59. Mix milk with lemon juice and set aside to sour. Place flours, nutritional yeast, mustard and salt in a large mixing bowl. Rub in margarine until the mixture resembles fine bread crumbs. Stir in pumpkin, onion, pecans and poppyseeeds. 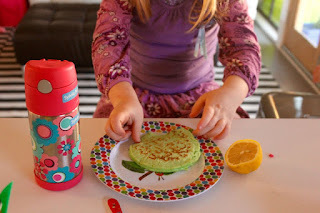 Make a hole in the centre and pour in milk to make a soft dough. If it is slightly sticky sprinkle some flour on it. Turn out onto a floured surface and knead briefly until it comes together into a smooth dough. Gently pat dough to about 1.5cm thick. 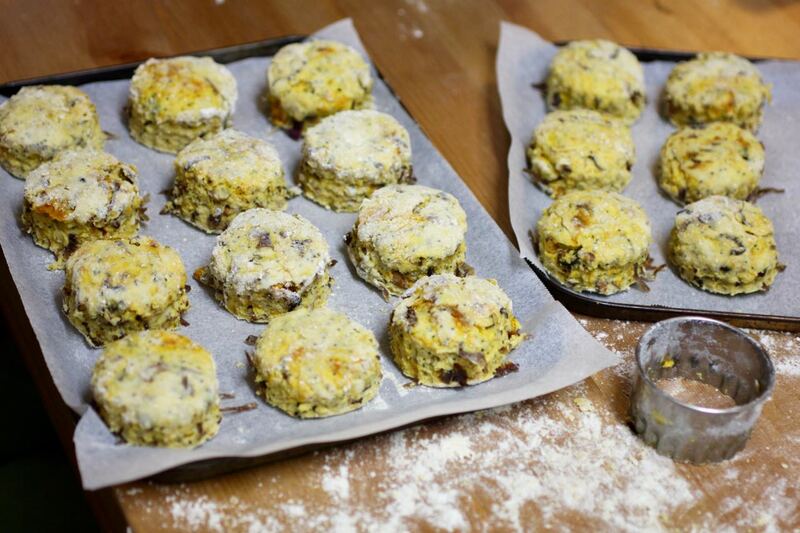 Use a scone cutter or glass dipped in flour to cut out scones. Place on a tray lined with baking paper (or greased and floured) with about 1 cm between each scone. Glaze with milk and then sprinkle on poppy seeds (just a few so you can still see when the top bakes). Bake scones for 15 to 20 minutes until they are golden brown. Wrap in a tea towel. They are best on the day of baking but also great the next day. 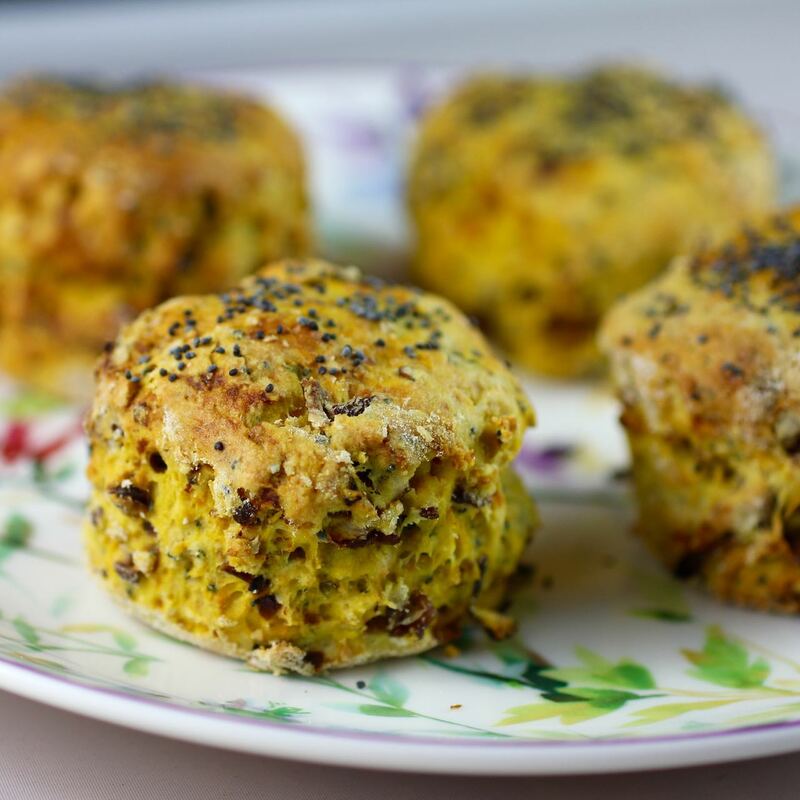 To make vegan scones, use a vegan milk and margarine. I roasted the pumpkin with a drizzle of oil and a pinch of salt until crisp and slightly charred around the edge. Most of the pumpkin got mooshed into the dough but a few pieces held their shape. To caramelise the onions, I finely sliced 2 red onions, chopped the slices into about 4 pieces each and fried them in some olive oil for about 15 minutes on medium high and 15 minutes on low heat. Then I stirred in a good pinch of salt and a tablespoon of brown sugar. I continued to fry until all the sugar had melted. This made about 1/2 cup. To make self raising flour, add 1 tsp baking powder for each 1/2 cup of flour. Last year I went to the school triva night. Our table didn't do well at the trivia but I was more disappointed that we didn't have much food while tables around us were groaning under the weight of others' fancy offerings. This year I was determined to make more of an effort with the food even if I still didn't know all the answers to the questions. As always I had lots of great ideas and limited time. On the day before the quiz, I had some time at home to bake. Firstly I decided to use some of the puff pastry in my freezer to make Italian purses. Mine were slightly different as I was just using up what was in the fridge - peas mixed in some green soup (like this), marinated peppers and mozzarella cheese. I grated up the rest of the mozzarella and it was far more than I needed. 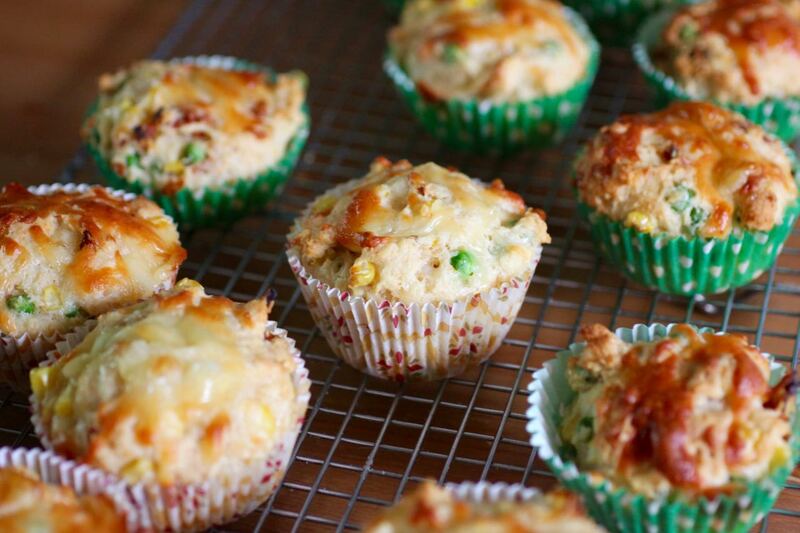 I decided to make muffins and found a recipe for Corn Spinach and Tomato Muffins at Create Bake Make. However I didn't have any spinach and tomatoes. So instead I used peas and sun dried tomatoes (in oil) and used up some of the Greek yoghurt I had found too thick for my chocolate muesli at breakfast. I only had enough mozzarella for the larger muffins which were golden brown unlike the mini ones that didn't change colour much. They came out of the oven as I ran out the door but I felt satisfied that I had one contribution for trivia night. The next day was one of these crazy days when I had a friend of Sylvia's over for breakfast before taking her to gymnastics, visited another of her friends for lunch, went to the supermarket and then dropped Sylvia off for a sleepovers. (Yes, her social life is far busier than mine). So I abandoned my plans for fancy food like this or this and fell back on favourite recipes: sausage rolls and grubs. Our team, called the Barnacles, ate very well. My other team mates had already had tea but everyone bought food. 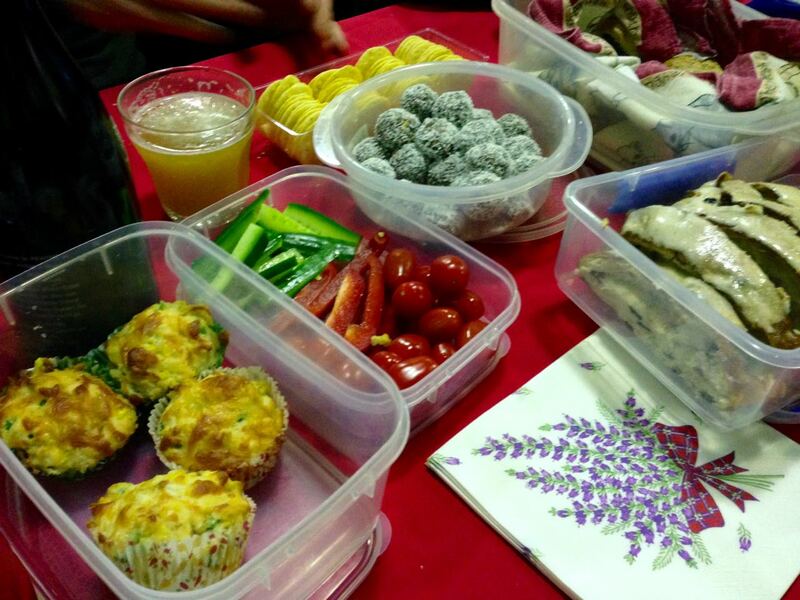 So as well as muffins, sausage rolls, vegies and grubs, we had crisps, crackers, iced fruit loaf, favourites chocolates, 99% chocolate and strawberries. We didn't win but we came a very respectable third considering that there were 5 points between us and the winning team. The following day we had heaps of leftovers, though the sausage rolls went very quickly because we all love them, even Sylvia. In fact by the evening I had eaten my fill and needed salad. But that is a dish for another day. Eight years ago: Rumbledethumps: death to the red hag! Place flour, peas, corn kernels, cheese, sun dried tomatoes, paprika and seasoning into a large mixing bowl. Mix well. 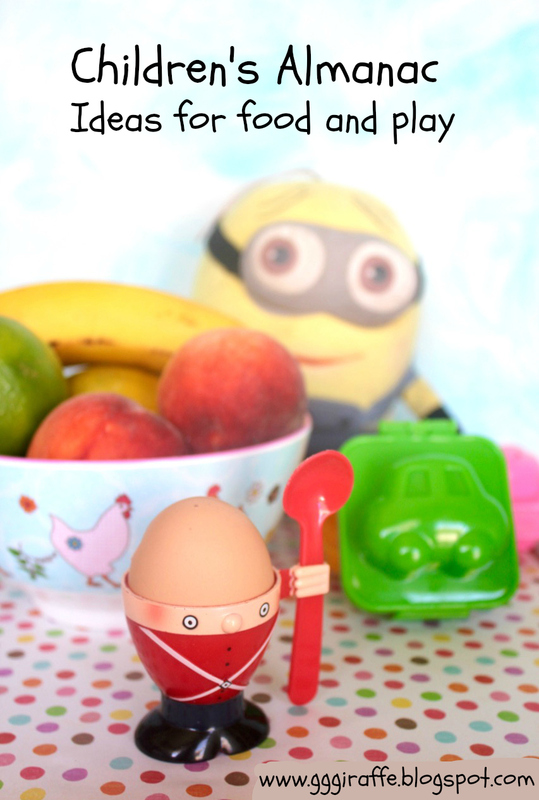 Whisk the eggs, olive oil, yoghurt and milk in a small mixing bowl or large jug. Pour the wet ingredients into the flour mixture and mix until just combined. 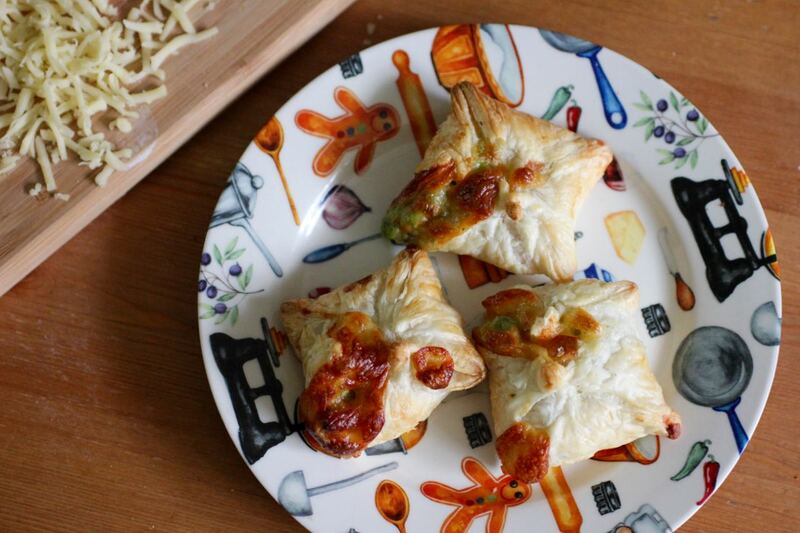 Spoon into greased or lined muffin tins (either regular or mini muffins work) and sprinkle with mozzarella if desired. Bake at 190 C for 20 minutes or until a skewer inserted in the middle comes out clean. Cool on a wire rack. Mine lasted a few days.